September 28th 2018 was the day that Palu in Central Sulawesi was struck by a tragedy: an earthquake with a magnitude of 7.5 leveled or damaged over 70.000 houses, displaced thousands and caused the deaths of at least 2.100 people. Immediately in the wake of this event, concerned messages and questions came pouring in, ranging from “I heard about the earthquake, and are you ok?” to “Should we still book with you because we’re scared”. With Palu being 600 kilometers away from us in a straight line, it takes about 22 hours by car to get there from here in Manado. It goes without saying that we didn’t notice a thing when disaster struck so far away. We did feel helpless, though. 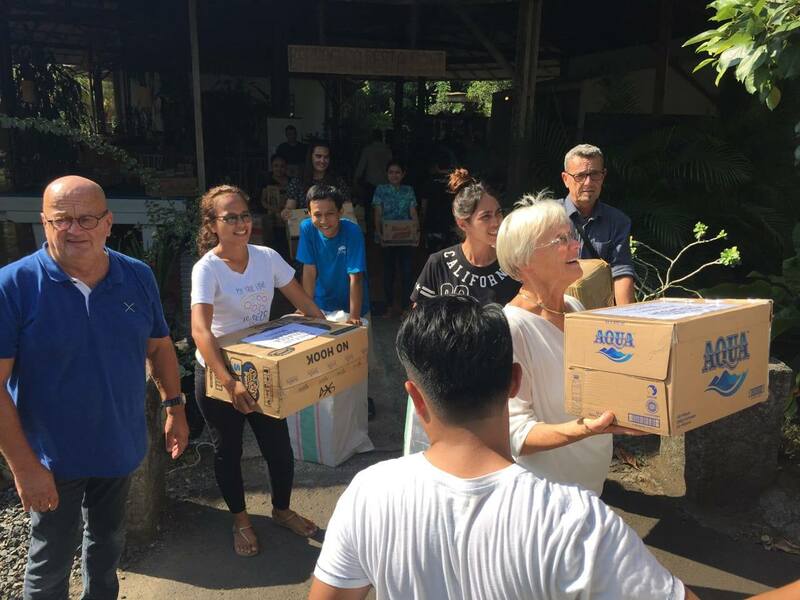 So together with colleague resorts in the immediate area, we made a joint effort to help: we gathered money, bought supplies and had trucks deliver the goods to Hercules airplanes standing by at the Manado airport. After our runs of supply goods, we still have EUR 844 left. Thank you everyone for all the good wishes. Everyone is alright here at Prince John and we are only slightly damaged! A few days later Alex and Anna at Prince John Resort announced a relief effort on their Facebook page to help everyone in their immediate area, so we decided to pitch in the remaining EUR 844 of our relief money which will be used to rebuild the home of as many families as possible. For more information, have a look at Prince John Dive Resort on Facebook. 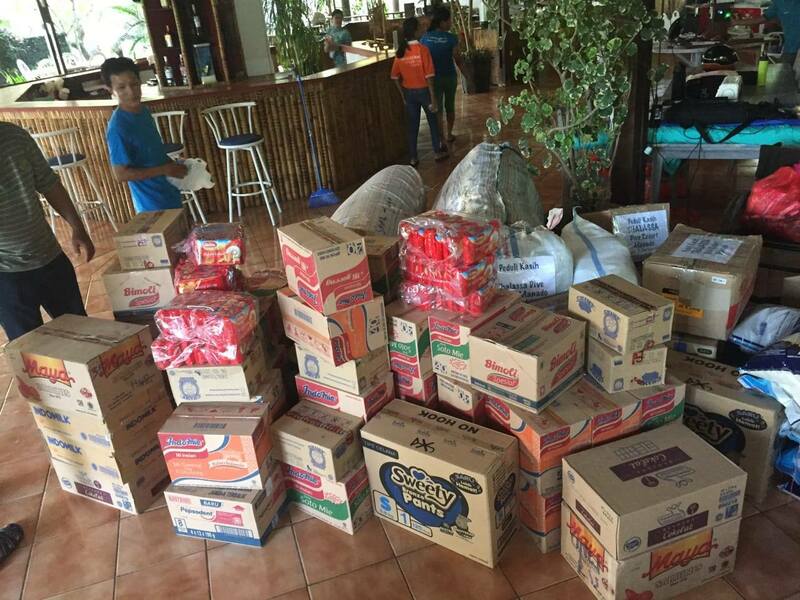 On behalf of the people of Donggola and Palu, we want to give our heartfelt thank all of those who have made a generous donation.